If you are a fan of metal music, chances are you have at least heard of Gojira. These Frenchmen have a new album out. I finally got a chance to listen to its entirety this evening, and I have to say I dig it. Gojira (formerly known as Godzilla, which Gojira actaully means) start things off on L'Enfant Sauvage (traslatable as the Savage Child) where they left off on The Way of all Flesh, but they expand on that sound with viscous guitar leads. This is in addition to their trademark chugging riffs puncuated with unpredictable drum work, which results in a rhythmic attack on the auditory sense that is oddly addictive. If you know of Gojira's music, you know what I'm talking about. Here, they deliver 11 delicious tracks that bend minds and take no prisoners. I know I'm going a little overboard with the metaphors with this review, but that's because it is easy to go overboard with Gojira. Gojira is rightfully a big name in metal and stand as possibly the most notable French band there is. Over the years they have a crafted a sound all thier own. Many bands have tried to duplicate Gojira's sound and many have failed. Other comparable bands would perhaps be Textures and Meshuggah, but these bands differ in many ways. 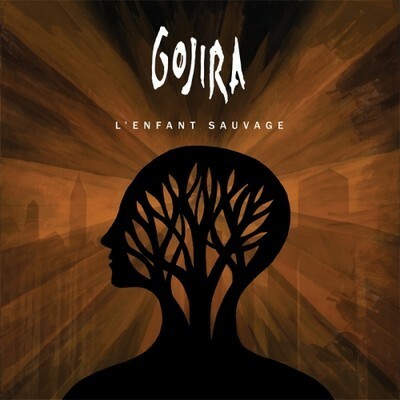 Not metal collection is complete without at least one Gojira album, and L'Enfant Saugave certainly fills the niche. This album grabs hold of listeners and destroys entire cities with its 4.4/5 rating. Ok. No more silly metaphors from me today. Listen to the title track from L'Enfant Sauvage below.